I got home from work one afternoon, and my friend Alistair Lynn asked me if he’d write for the game he was making for Mini-Ludum Dare 50, due that day in about five hours. 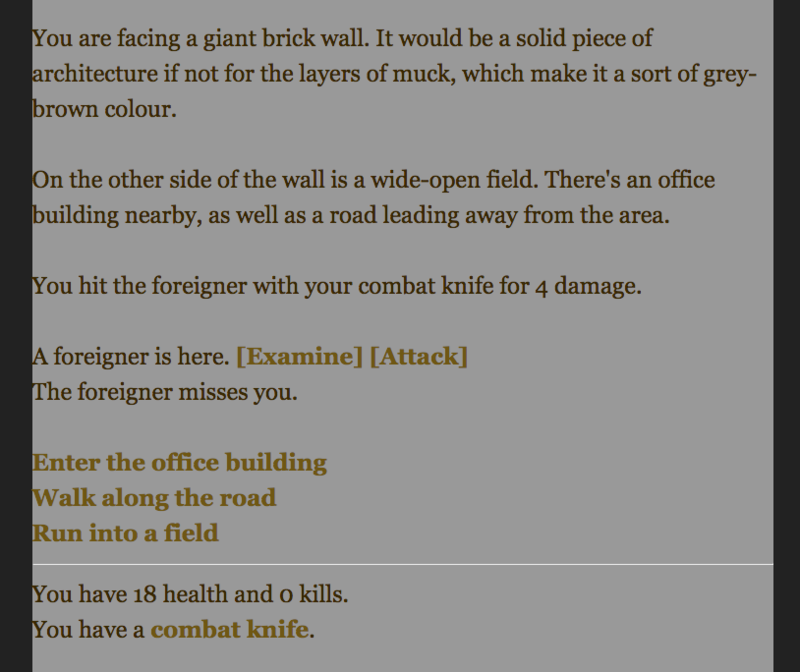 We made a text-adventure “demake” of Call of Duty, called Call of Xyzzy. Not bad for five hours, in my opinion. More recently, as a project to learn how to use Twine, I remade it as Call of Xyzzy: Grey and Brown Ops.